Clara Poncho by Olivia Tullett®. We are proud to say that ours well as our Clara Poncho, our full fashion range is designed by a country lady, for the country lady. 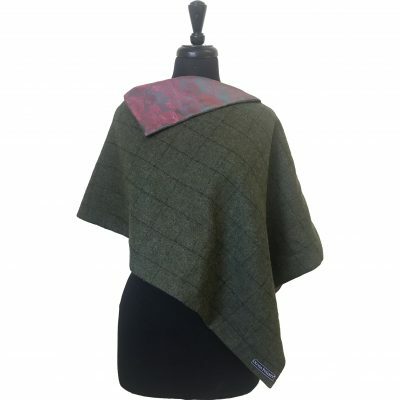 Available in a range of beautiful colour combinations and also available on a bespoke basis. With over 200 tweeds to choose from and a wide range of complimentary linings to suit each colour the possibilities are nearly endless. We are proud to say that as well as our Clara Poncho, our full fashion range is designed by a country lady, for the country lady. 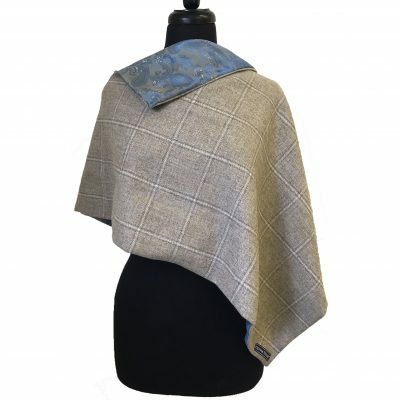 To ensure high quality products we individually cut in both the tweed and lining for each of our Clara Ponchos. The colourful paisley print lining can either match the tweed or be chosen as a statement to add a bit of extra colour to the garment. The whole garment is full reversible meaning you get two looks in one. 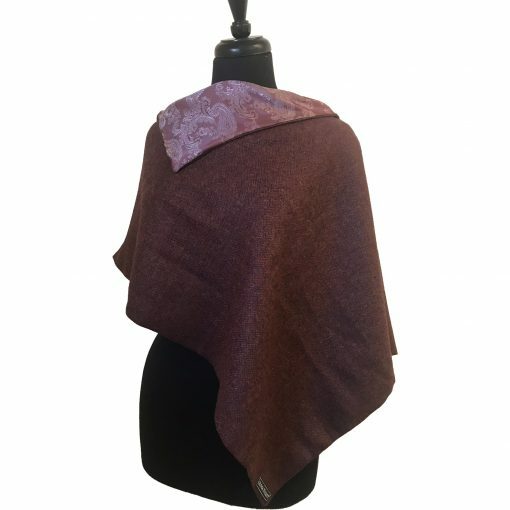 If you want something a little more subtle from your garment then the collar can be turned inside making a cowl neck feature instead. The Clara Poncho is our answer at Olivia Tullett® to the very popular fashion trend. We are very proud of our Clara Poncho and feel it adds that finishing touch to any outfit! 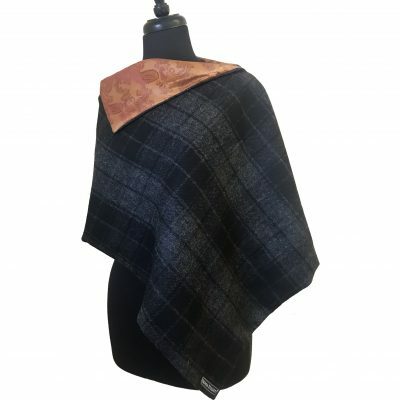 Olivia Tullett® is proud to announce this garment is available in standard colour options as well as the popular bespoke options originally available. The simplicity of design makes it a very easy garment to wear. Bespoke colour combinations available range from one end of the colour spectrum to the other. All of our bespoke creations can be made in any length specified by the customer. The standard sizing of the Clara Poncho by Olivia Tullett® (when laid flat on a table***) is 68cm wide (136cm total length of fabric) by 50cm long. All colour options are available in One Size***. 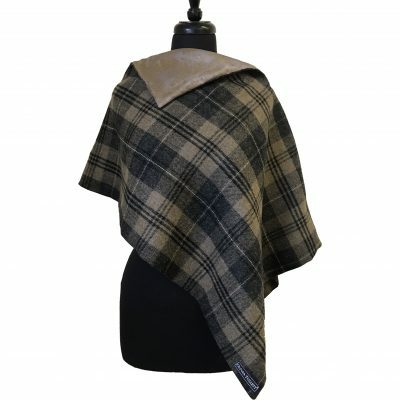 All of the Clara Ponchos by Olivia Tullett® are individually manufactured in Warwickshire in our studio. Please be aware that all items are hand made to order and can take up to 2 weeks from order date to delivery. Please let us know if you need it sooner and we will try our best.